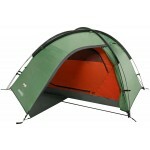 Vango has reintroduced the much-loved Diablo Range of tents for the 2012 season. 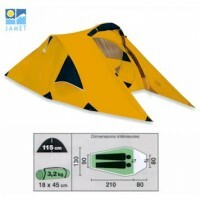 The tents have changed radically from their last appearance; rather than being large dome tents they are now split tunnel tents with two very separate sleeping areas, a large central living area and a covered entranceway. The Vango Diablo 600 features two 3-berth sleeping 'pods' each with a breathable polyester 'lights out' inner tent with part mesh doorways. The large hexagonal living area features a fully sewn-in groundsheey, rear doorway (with mesh double door), 2 large windows (with internal privacy curtains) and a large roll back front door also with mesh double door. 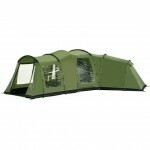 The front also features a sheltered entrance way with side wings and overhead drip guard. 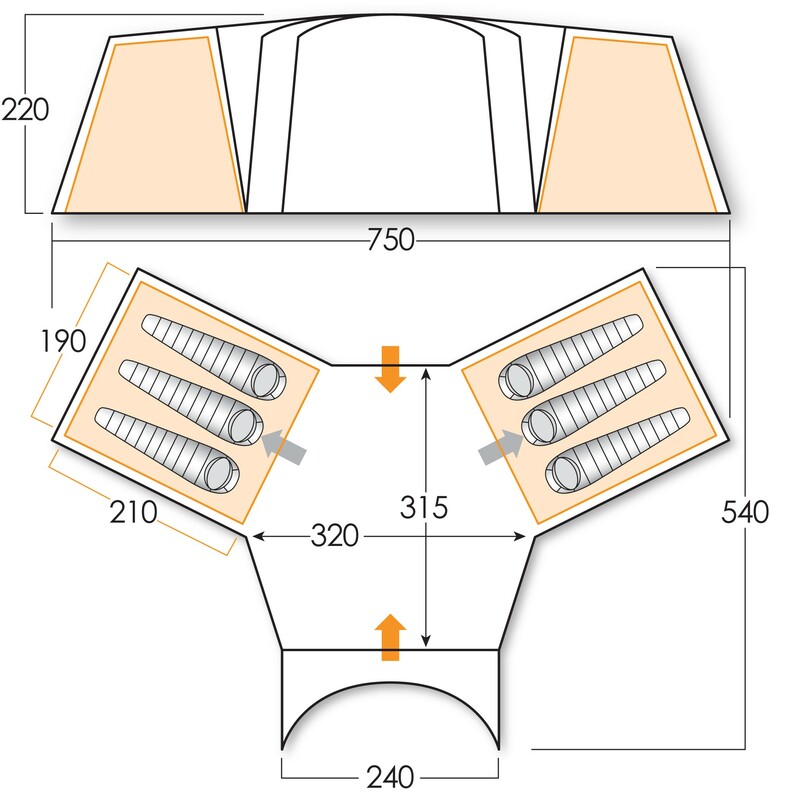 Other features of the Vango Diablo 600 include 10,000mm HH polyethylene sewn-in groundsheet throughout, Protex 3000 (3000mm HH) embossed polyester flysheet, colour coded PowerFlex fibreglass poles, pre-attached guylines with holders, low level vents, cable entry with cable tidies, pelmets with storage pockets, reflective webbing, hanging storage, handled carry bag and repair kit. Fire retardant materials. Flysheet first pitching with 20 minutes pitch time. 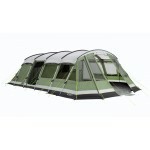 We are selling the last few of the 2012 model complete with a FREE Front Enclosed Canopy. 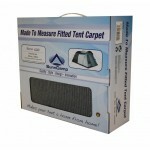 Matching Footprint Groundsheets and Carpets are also available at knock down prices. 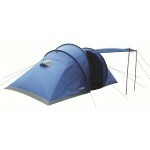 Vango Diablo 600 Tent with FREE Front Canopy.